It's a bit trite to throw around the idea that you've found paradise on Earth, since that sort of sentiment should be reserved for truly otherworldly locales that transport you in both body and spirit. But when the phrase fits, it fits. 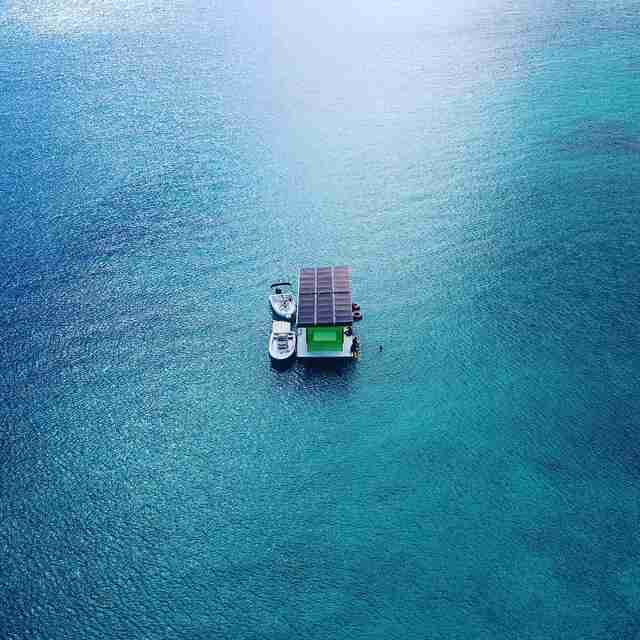 Take, for example, this brand new swim-up taco shack and cocktail bar floating off the coast of the US Virgin Islands in the Caribbean. 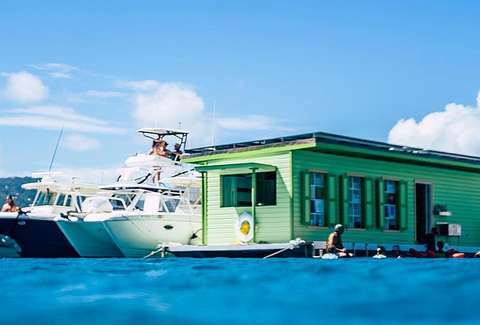 The new, solar-powered hangout, known as Lime Out, opened earlier this month and serves up "food truck" style tacos alongside a bunch of boozy beverages just a few hundred feet from the shores of Saint John, US Virgin Islands. One side is set up to accommodate boaters to dock and grab a quick bite or some drinks, while the other side is essentially a submerged cocktail bar, complete with floating swim-up bar stools to lounge on while soaking up the sun. If you can't be bothered to make the long, harrowing journey through the pristine crystal blue water for a cocktail or a taco, though, Lime Out also delivers. As for the food menu, you have your pick of tacos stuffed with everything from ceviche to short ribs to green curry chicken, while the craft cocktails run the gamut and includes something it calls "The Gamut" made from Thai chili infused tequila and fresh watermelon juice. We'll take three, please. In keeping with its eco-friendly atmosphere, the bar's cups, menus, and packaging materials are recyclable or biodegradable. So, see you in Saint John? Save us a seat.